In year two under Patrick Ewing, Georgetown will lean on the returning talent and a freshman infusion to try to get the program back to its winning ways. WASHINGTON — If last year was the big splash, this year is the long swim. 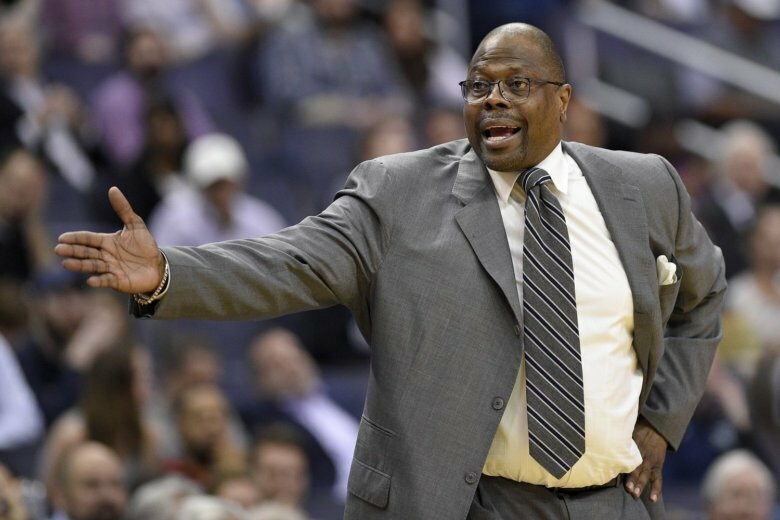 Georgetown rebooted its men’s basketball program in 2017 by bringing in Hall of Famer Patrick Ewing to lead the program. While he no longer has to answer questions about this being his first season as a head coach or coaching in college, Ewing knows he’s still a work in progress. “The learning process is ongoing…I’m getting better every day,” he said. Instead of the novelty of a new regime vibe, there’s simply a coach and a staff hard at work attempting to build a program in a conference that has produced the National Champion two of the last three seasons. The Hoyas went 15-15 in Ewing’s first winter at the helm, finishing 5-13 in the Big East. It was a winter filled with tough losses that included overtime affairs against Big East foes Xavier, Butler and Marquette, as well as onetime rival Syracuse (that one especially stung because Georgetown blew a 12-point second half lead at home). A bounce here or there and the Hoyas would have been talking postseason play. While Georgetown held its own on the glass (fourth in rebounding margin against Big East opponents), they finished last or second-to-last in points allowed, defensive field goal percentage, defending the three and turnover margin. “When it comes to rebounding or playing defense or getting steals it can’t be just one person — it has to be the whole entire team,” said Ewing. Preseason All-Big East selection Jessie Govan, who returns for his senior season, will be a big part of that. The 6-foot-10 center from Queens Village, NY averaged 18 points and 10 rebounds a game in his first season under coach Ewing, who is expecting big things from his big man this winter. Last year was a tale of two seasons for Govan, who feasted on non-conference foes while being the primary focus of scouting plans during league play. He expects more of the same this year. The Hoyas bring back five of their six top scorers from last year. Expected to make the leap is 6-foot-8 guard Jamorko Pickett. The Washington D.C. native averaged just fewer than 10 points per game as a freshman and has a high ceiling this season. Sophomore guards Jahvon Blair and Jagan Mosely will also be expected to contribute while senior Kaleb Johnson looks to provide additional leadership and be a perimeter threat (career 36 percent three-point shooter). A five-player freshman class means there will be as much teaching as roster-shaping. Three-star guard Mac McClung brings a swagger and sizzle … the question is whether his game will translate into steak one can dine on in Big East play. With that inexperience comes plenty of upside in the form of four-star recruits James Akinjo and Josh Leblanc. The non-conference slate includes a trip to Montego Bay for the Jersey Mike’s Jamaica Classic, a home game against Richmond, and a road trip to Syracuse. The Hoyas are picked to finish seventh in a Big East that boasts defending national champion Villanova as well as five other schools that received votes in the Associated Press Preseason Poll. Since the formation of the “New Big East” in 2013, the Wildcats have been the measuring stick in the conference. Last winter, Georgetown measured 24 points shy on the road and 32 points shy at home. We’ll get an idea how far Patrick Ewing’s program has come — and how far it still has to go — Feb. 3 in Philly and Feb. 20 in D.C. One can be sure the coach and his team will be ready to dive in.